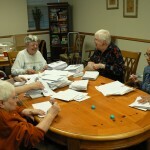 RSVP volunteers work in groups and individually on projects for public and private non-profit organizations (for example, preparing bulk mailings, updating records or addressing envelopes). 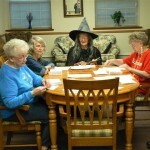 Volunteers may also sew items for needy families in shelters, make stuffed animals for grieving and/or abused children, or knit and crochet mittens and hats for children in Headstart, Breakfast Clubs, shelters and schools. The entire group at Village east. 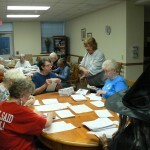 Standing is Vivian Palombi, RSVP staff person. 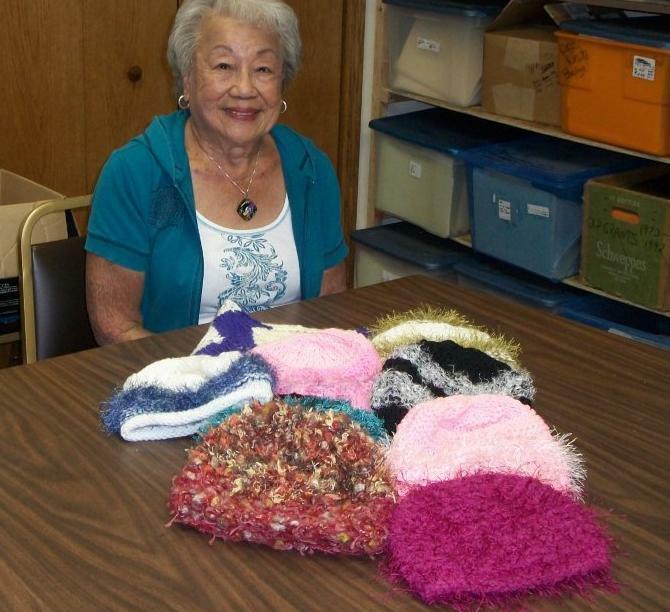 One of our home-based volunteers, Fung Scholz, with completed hats to be distributed this fall.